In the U.S. Virgin Islands, there are many diverse watersports and outdoor activities to enjoy! A consistently warm-weathered paradise, St. John offers the perfect landscape for year-round fun. From snorkeling and scuba diving among the many coral reefs to hiking past historic sugar mill ruins, an outdoor adventure is waiting during your stay at a CimmaronStJohn managed property. One of our favorite ways to enjoy the water and views is by soaring overhead while parasailing over the azure waters around St. John. Here are a few outfitters that can provide everything you need for a fantastic parasailing excursion while vacationing on St. John! To discover more watersport outfitters and outdoor things to do in St. John, USVI, download our free app! This information-packed app will help you plan all your island adventures, such as parasailing St. John, before and after you have arrived. CimmaronStJohn guests can also use our personal concierge services. This will save time and money when arranging activities and excursions while vacationing on St. John! At St. John Adventures, plenty of surf n’ turf journeys await! Whether you enjoy spending your time sprawled out on the beach, exploring historic trails, snorkeling, kayaking, fishing, or parasailing St. John, this great outfitter can help you make the most of your island time. Some favorite opportunites at St. John Adventures include a sunset sailing adventure, scooter rentals, and of course parasailing St. John! Enjoy a new perspective of St. John while flying high above the turquoise waters. 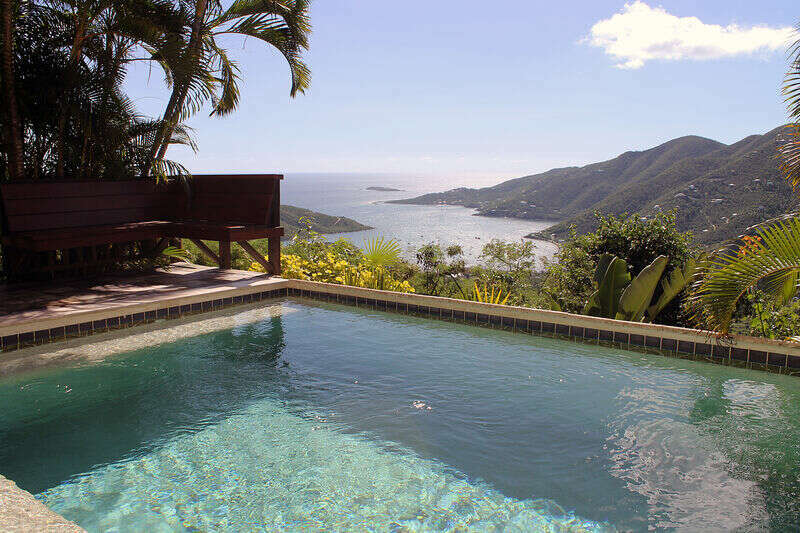 Breathtaking views await while you are soaring above the gorgeous St. John landscape. You can even double your fun by flying tandem with your special someone or triple with a group of friends or family! With Parasail Virgin Islands, an Ocean 35-foot specially built parasailing vessel will take you out into St. John or St. Thomas waters for a thrilling experience! Equipped for a dry landing and takeoff, you don’t even have to get wet when enjoying your ride over the Caribbean! You will get 8 to 10 minutes soaring above the crystal clear waves far below. You can also choose to ride as an observer for a lower price than your parasailing peers. There is even a photo package option if you want to capture your high-flying moments on camera! Cruz Bay Watersports in St. John offers some great island activities to enjoy with all your friends and family! From snorkel tours to parasailing St. John, you will discover the best watersports and outdoor fun that our slice of paradise has to offer. With top-quality equipment, expert personnel, and a true variety of adventures, Cruz Bay Watersports comes highly recommended. Ask your captain for a “dip” and a “freefall” for extra parasailing fun! Then, top it all off with a tropical cocktail once you’ve docked at Cruz Bay. Go Parasailing, Soak Up Some Sun, and then Return To Your Private Home in Paradise! After parasailing St. John, spend some time lounging on one of the many pristine St. John beaches. Soak up some sun, relax in the cool ocean breezes, and take in the amazing paradise before your eyes! Once you’re ready to return back to your island villa or vacation home, enjoy the privacy of your own space among the surrounding tropical oasis. CimmaronStJohn is here to make your vacation to St. John the best it can possibly be!